At the heart of the Sh­e­r­p­a­L­o­a­d­er® lies its pre­ci­sion cam­era. 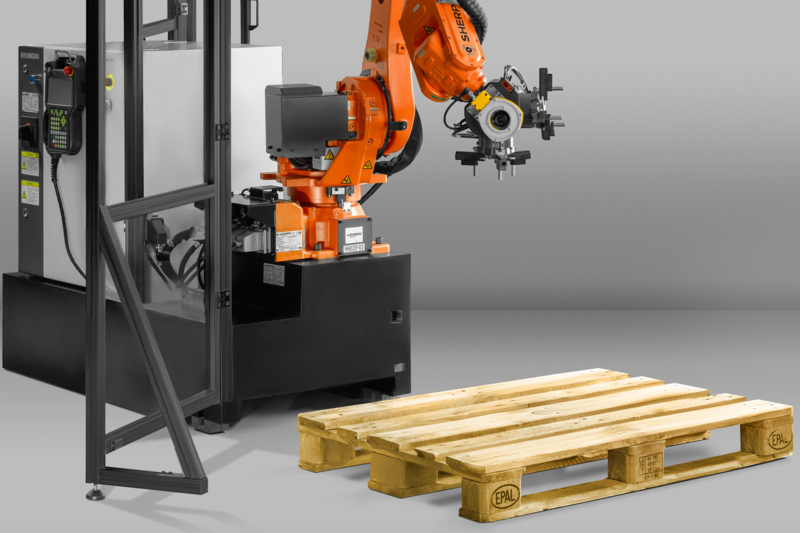 With an ac­cu­ra­cy of just 0.5 mm, its vi­sion sys­tem re­li­ably rec­og­nizes all work­pieces placed on your load­ing de­vice. So, for any new work­piece or job, you do not have to set up new grid plates or stack­ing ta­bles; and no time-con­sum­ing, com­plex con­fig­u­ra­tion of the ro­bot pro­grams is re­quired. Af­ter all, me­chan­ic mag­a­zine au­toma­tion is cost­ly, and prone to fail­ure. The Sh­e­r­p­a­L­o­a­d­er® comes ready to use, with teach-in com­plet­ed and au­to­mat­ed rou­tines pro­grammed. Jobs are sim­ply start­ed from in­tu­itive screens on a huge 15-inch touch pan­el dis­play. You do not need to be a ro­bot spe­cial­ist to op­er­ate the Sh­e­r­p­a­L­o­a­d­er®, in fact, your ex­ist­ing team can in­stant­ly do so. 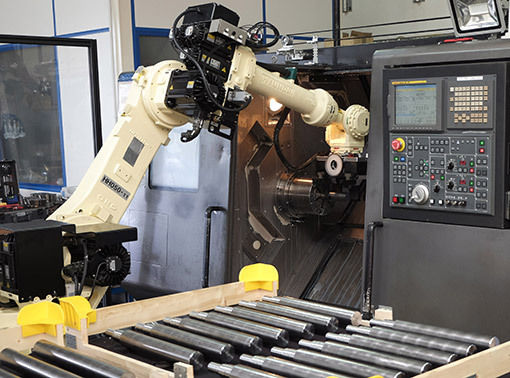 Un­like weld­ing or milling ap­pli­ca­tions, ro­bots in CNC au­toma­tion are idle 70–90% of their work-life. Also, un­like pro­duc­tion ap­pli­ca­tions, the track ac­cu­ra­cy of a CNC au­toma­tion ro­bot has zero in­flu­ence on the ac­cu­ra­cy of the fi­nal prod­ucts. With its re­peata­bil­i­ty of ±0.06 mm, the SherpaLoader’s® HYUNDAI ma­nip­u­la­tor is per­fect­ly tai­lored to the re­quire­ments of CNC au­toma­tion. 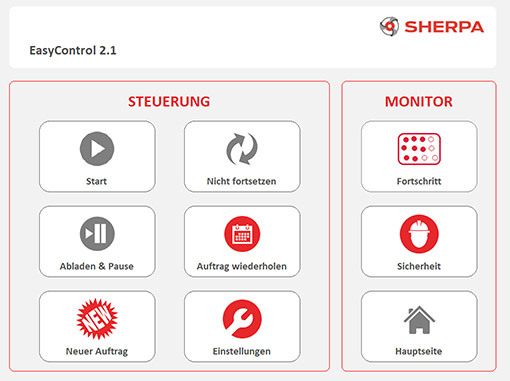 The Sh­e­r­p­a­L­o­a­d­er® is built to han­dle all com­mon work­piece di­men­sions. 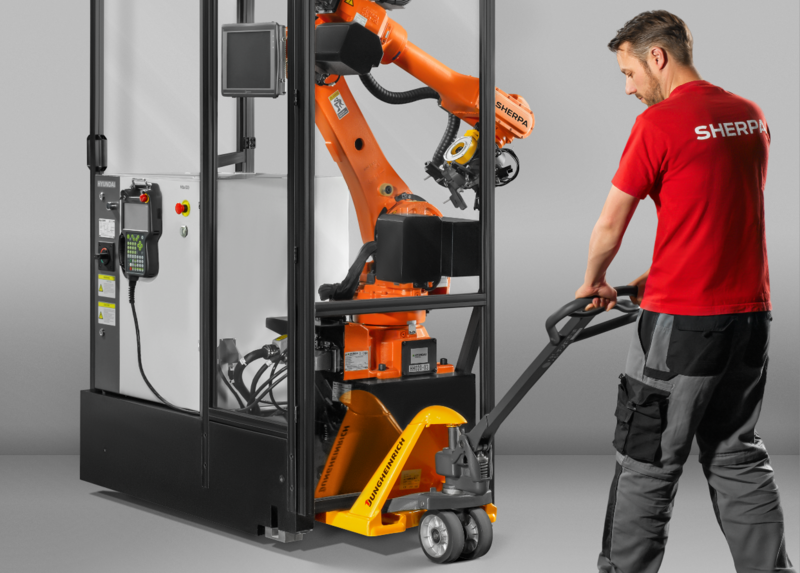 Its grip­per, de­signed for quick ad­just­ments, holds cylin­ders and cuboids from 10 to 200 mm, as well as shafts up to 400 mm in length and 12 kg of weight. One Sh­e­r­p­a­L­o­a­d­er®, cov­ers your en­tire pro­duc­tion port­fo­lio! 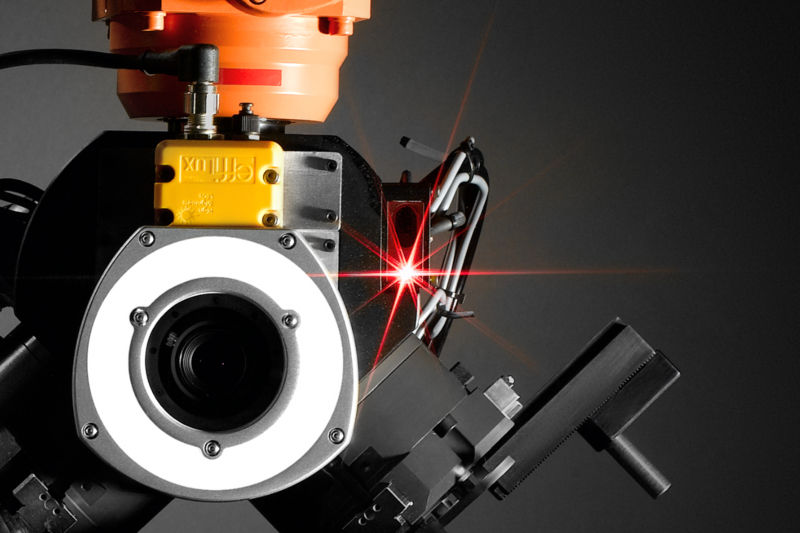 The Sh­e­r­p­a­L­o­a­d­er® comes equipped with a laser sen­sor sys­tem. Pri­or to pick­ing up a work­piece, the sys­tem mea­sures its ex­act length. This en­sure not only per­fect clamp­ing in ro­bot grip­per but also it al­lows ex­clud­ing work­pieces be­yond a spe­cif­ic tol­er­ance from be­ing loaded. 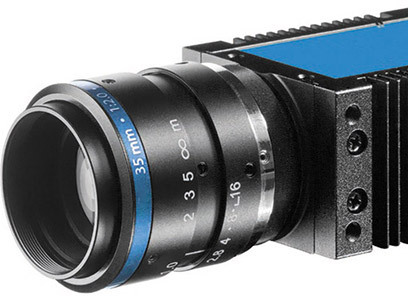 Adding a laser sen­sor to the 2D cam­era sys­tem gives the Sh­e­r­p­a­L­o­a­d­er® 3D ca­pa­bil­i­ties, with­out re­ly­ing on a frag­ile and cost­ly 3D vi­sion sys­tem. Ma­nip­u­la­tor and cab­i­net of the Sh­e­r­p­a­L­o­a­d­er® are bolt­ed on a min­er­al cast ma­chine bed. Oc­cu­py­ing less than one square me­ter, the unit is both com­pact and mo­bile. 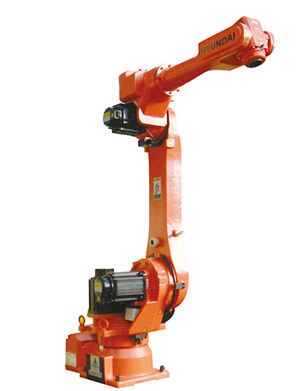 With a man­u­al fork lift, you eas­i­ly move your Sh­e­r­p­a­L­o­a­d­er® to the CNC ma­chine with the high­est ca­pac­i­ty load. For var­i­ous ma­chin­ing op­er­a­tions and ma­te­ri­als, spin­dle, chuck and work­pieces must be reg­u­lar­ly blown off. The Sh­e­r­p­a­L­o­a­d­er® is equipped with a blow­er noz­zle that can be activated/deactivated for spe­cif­ic op­er­a­tions. 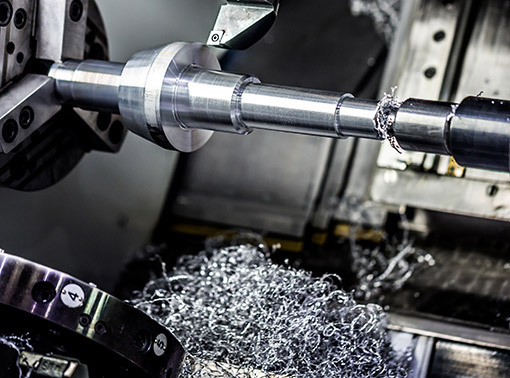 The in­ter­face of the Sh­e­r­p­a­L­o­a­d­er® is com­pat­i­ble with all com­mon CNC lath­es and milling ma­chines of all years of con­struc­tion. Use the same Sh­e­r­p­a­L­o­a­d­er® to au­to­mate ex­ist­ing ma­chines, or to pair it with a brand-new CNC ma­chines from any man­u­fac­tur­er. 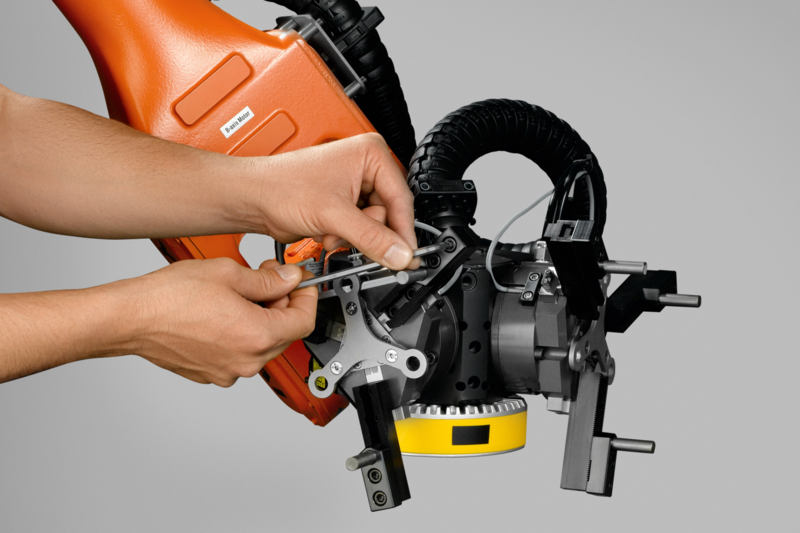 Not only un­load fin­ished parts on euro pal­lets, but also pick up un­fin­ished parts di­rect­ly from pal­lets. Sh­e­r­p­a­L­o­a­d­er® is the only au­toma­tion sys­tem in the world that can be loaded with ma­te­r­i­al from stan­dard pal­lets, with­out cost­ly spe­cial me­chan­ics and at no ex­tra cost. We are using cookies. By continuing to browse on our website you consent to our usage of cookies.